On 9-11 May 2017, Brazilian experts will meet at the second Brazilian Forum for Life Cycle Assessment (LCA). 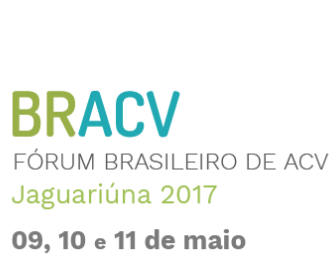 Held in Jaguariúna in São Paolo state, “BRACV 2017” will gather researchers, government officials and entrepreneurs in from the life cycle community. Discussions are set to include support strategies for LCA in Brazil; either as a scientific methodology, a tool for the production/manufacturing sector, or as a source of information for public policy making. On the last day of the forum, a number of workshops and training courses will be open to participants. The event is promoted by the Brazilian Institute of Information in Science and Technology (IBICT) in partnership with the Brazilian Agricultural Research Corporation (Embrapa) and the Espaço Eco Foundation, a centre of excellence in education and management for sustainability. Registration is free via the event website.